For those in the Washington, DC area today, Shaolin Jazz is doing their first musical performance tonight at the legendary Blues Alley. It is the first DJ-led performance at Blues Alley including DJ 2-Tone Jones, the co-creator of SHAOLIN JAZZ, his fellow band members of Sound of the City and special guest artists.. Their repertoire will consist of tracks from the SHAOLIN JAZZ – The 37th Chamber album. 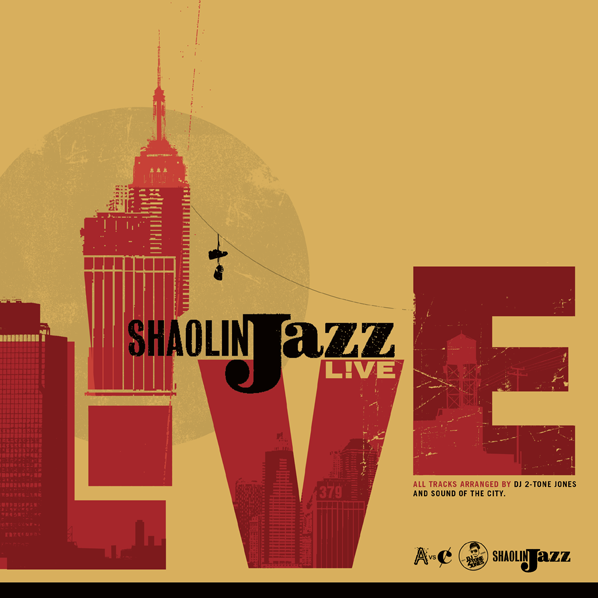 Shaolin Jazz fuses the raps of the Wu-Tang Clan with instrumentals and samples from jazz classics. For more information read below and here.